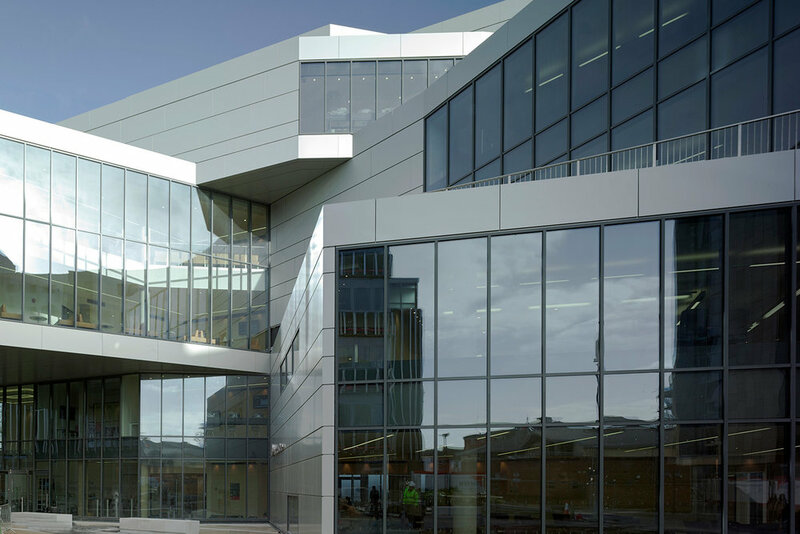 In 2007 we won the commission to produce a comprehensive Development Framework to guide the long term strategy for the University Estate, initially at the Luton Campus and latterly at the Polhill Campus in Bedford. The Development Framework focuses on delivering projects which can transform the student experience, creating more connected and cohesive campuses– whilst also significantly improving the identity and image of the University. Following the success of phase 1 - the Student Centre - we were appointed to design and deliver the second phase building, the Graduate/CPD Centre that provides a range of flexible teaching and associated support space along with social facilities for postgraduate students.